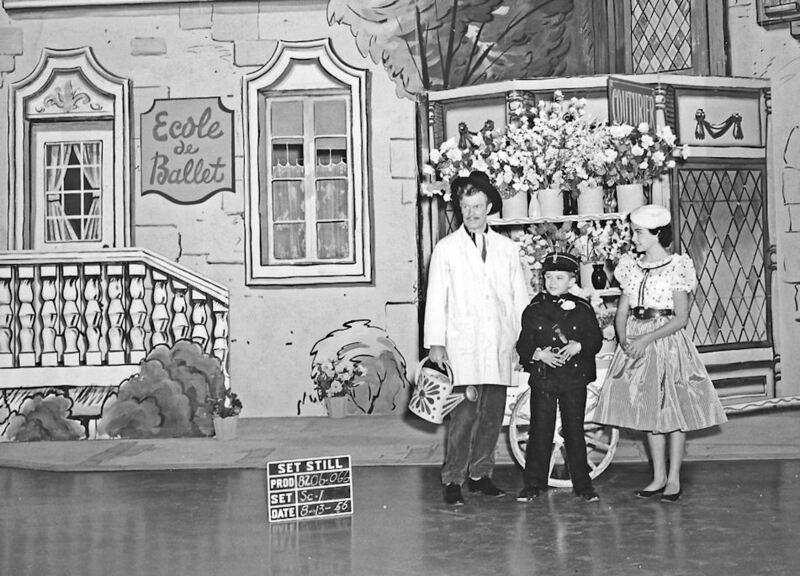 Jimmie Dodd, Cubby O'Brien, and Annette Funicello wait for another take on the set of the 'Paris' skit. This second season skit was filmed August 13th, 1956 and first broadcast November 26th of that same year. 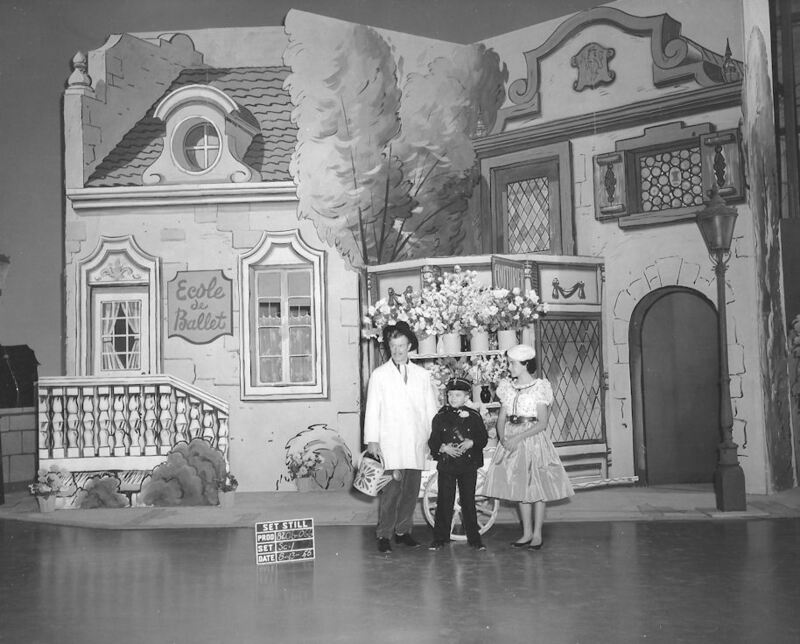 The first number of the skit was a song called Bonjour Paree (Tom Adair/Francis Adair), sung by various Mouseketeers for the filming, but recorded solely by Darlene Gillespie for MMC records. The full image (above) shows the scope of the elaborate set constructed for the Paris skit, though the set designers did skimp on supplying a full crown for the tree. The second number of this skit, the song and ballet Annette (Jimmie Dodd) may be seen on YouTube. Set stills like these were made for the property department, and were not intended for release as publicity photos. Most set stills are devoid of cast and crew; the photographer was only concerned with capturing the appearence of the stage and the presence of people in the frame was a matter of indifference. Hence, when they do show up, as above, they are often out of focus and poorly lit.